Regis ‘The First’ Sugden has been signed to an 18-month contract with BAMMA, Europe’s leading promoter of Mixed Martial Arts, it was officially announced today. 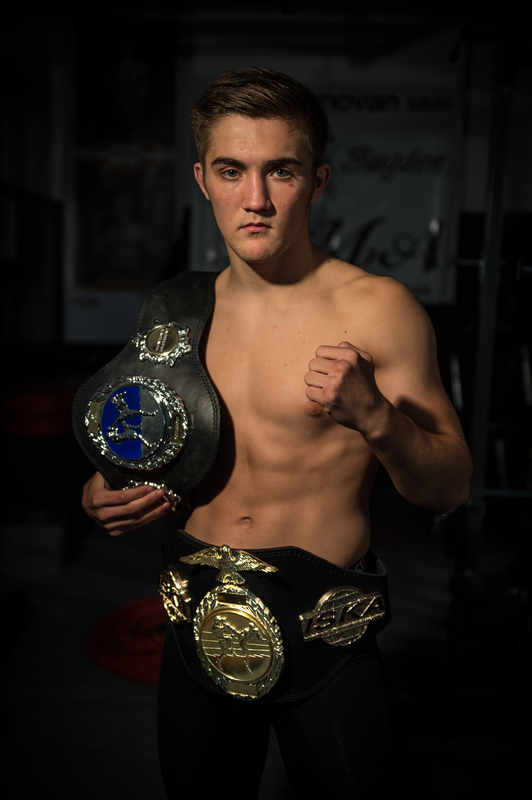 The deal will take the career of the 19 year-old Suggy’s Gym fighter to a new level, showcasing his talent in professional MMA on terrestrial TV. Jude Samuel, Head of Talent and Fighter Acquisition for BAMMA said: “I’m extremely excited by BAMMA’s acquisition of Regis Sugden. The Sugden family has a deep history in combat sports and, with Regis heading into the world of MMA, there are exciting times ahead for UK Mixed Martial Arts. Already known as one of the country’s most explosive stand up fighters, with a 50 per cent knock out record as a professional K-1 kickboxer, Regis has been honing his MMA skills alongside some of the best in the business in UK MMA superstar Jimmy Wallhead, World No Gi Jiu-Jitsu Bronze medallist Ranjeet Bara and Suggy’s Gym-based international wrestling coach Krzysiek Adamczyk. Fighting on the amateur MMA stage in recent months, he has taken two emphatic wins under KTMMA rules and a further four under modified A Class rules with only two losses, both of which were against opponents with considerably more experience. After his latest victory, in Newark earlier this month, he was described by BAMMA commentator Malcolm Martin as possibly the most exciting prospect in what has become the fast growing sport in the last decade. In preparation for his BAMMA debut at Manchester’s Victoria Warehouse on Saturday 6 December, Regis now trains in Jitsu and wrestling five days a week, while continuing to work on sparring and strength and conditioning under the guidance of world class coaches Dean and Chad Sugden. “Like my brother Chad, I had the opportunity to pursue a career in K-1 but I got a taste for MMA five years ago working with Jiu Jitsu instructor and life-long UFC supporter Terry Donovan, who is still one of my sponsors,” he said. “Although I’ve been training and competing in grappling tournaments ever since, I guess I will still be known as the stand up guy. But my focus now is on MMA and I’m looking forward to building a reputation as someone who brings a creative flair to the sport. Manager and coach Dean Sugden added: “Regis’s pro MMA debut has been on the cards for some time and we’re delighted we can at last break the news that it will be under the banner of the UK’s leading promoter. “His reputation as a stand up fighter made it difficult to find MMA amateurs willing to test themselves against him. So we’ve been keeping the news under wraps while we searched out the best opponents to test his new skills and give him the opportunity to learn his trade.